Gail Kautz, born and raised in Oakland, California attended Anna Heads School in Berkeley before moving to Columbia, Missouri to attend Stephens College, which is today the second oldest all women’s college in the United States. After receiving her A.A. degree, she decided to continue her passion of education and moved to Stockton, California where she earned a Bachelor of Science degree in Elementary Education from the College of the Pacific (now the University of the Pacific). While finishing her degree at U.O.P., she met John Kautz, who courted the city girl with the life of farming. They married in 1958. Gail spent her early years raising her four children (Stephen, Kurt, Jack and Joan). During their school years, she actively participated in their events that ranged from Boy Scouts, 4-H, FFA, sports (swimming, water polo, diving, riding horses, tennis and basketball) and academics. She was often a leader for the particular event the children were involved in. During this time, she also was part of many non-profit and charity organizations like Omega Nu and Children’s Home of Stockton where she was Chairman. Throughout Gail’s career, she has been very active both personally and politically. She has been appointed to many commissions and has sat on numerous boards. From 1994-2006, Gail was on the “Board of Regents” for the University of Pacific, where she was the Chairman of the Academic Review Special Committee. In 2000, she was Chairman of a new Art & Geosciences building at the University and also served as a Chairman of fundraising for the Music Conservatory & Brubeck Institute. A Board member of the California State Fair and Exposition in Sacramento, Gail served from 1987-1995. She was the first woman Chair of the Board in 1993 and received the “Track of Bear Award” in 1996 for outstanding contribution to agriculture. She later went on to be a member of the California State Fair Agricultural Advisory Committee where she served as Chairman from 2006-2007. In 2013, Gail was Chairman of the State Fair Grape & Gourmet event. Gail was received the “Golden Bear Award” in 2016 for her dedication and service. Governor Wilson appointed Gail in 1993 to the “Improving Life Through Service” Commission which oversaw the Americorps Programs in California. She received the YMCA “Improving Lives Award” in 1995 for her outstanding commitment and service. Gail was appointed by Governor Schwarzenegger to the California State Parks & Recreation Board, where she sat as a member for eight years. In 2005, she helped re-write the State Recreation Plan. She was later re-appointed by Governor Schwarzenegger and Governor Brown. In 2009, she was elected as the Commission’s Vice-Chairman. In 2005 she received the “Golden Poppy” Award from the California State Park Foundation, which honors a person that “makes a significant contribution and commitment to protecting, enhancing and/or advocating for California’s State Parks”. In 2011, she joined the Board of Directors of the California State Park Foundation which was engaged in raising funds to help keep California’s State Parks open. Being a part of a farming family, Gail always saw the need to share with children all what agriculture is about. She has focused many years on 4-H programs, initially serving as a leader for her children’s programs. Later, she founded the Ironstone Concours Foundation and has been Chairman for 20 years. This annual fundraiser raises funds for statewide and local 4-H and FFA (Future Farmers of America). It also provides scholarships to youth throughout the state. Today, the Foundation has raised more than $750,000. The Concours d’Elegance is considered one of the top 10 Classic Car shows in the nation. Gail is a Lifetime Honorary member of the California 4-H Foundation and has an Honorary State Degree for California FFA. In addition to the many commissions and boards Gail has been involved with, she was also a delegate in 1992 (Houston) and 1996 (San Diego) to the Republican National Conventions. Agriculture is in Gail’s blood. She is a member of the California Women for Agriculture. The Lodi District of Commerce named Gail “1998 Agriculture Person of the Year”. Additionally, she received the San Joaquin County Agricultural Hall of Fame in 2012 and the California Farm Bureau Bountiful Award in 2013. 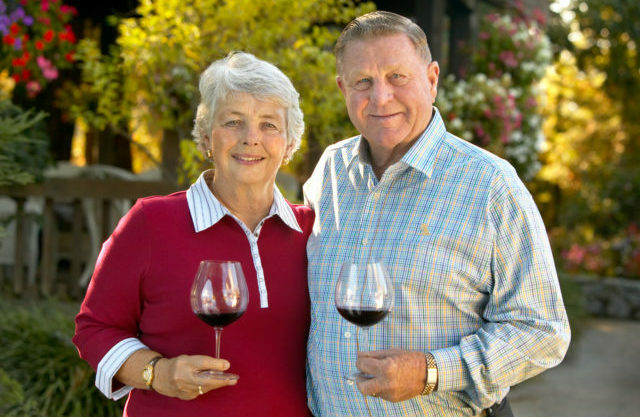 In 2004 and 2005 respectively, Gail and John were co-recipients of the “Lodi Legends” and “Lodi Hall of Fame” awards. Gail was named “Woman of the Year for the 14th Senate District in 2006 by Senator Poochigian. With all of her commissions and boards, Gail is Vice-Chairman of Ironstone Vineyards and is involved in all aspects of the family farming operation (Kautz Farms) in Lodi. Gail also has been a very active horse enthusiast and is a member of the AQHA and NRHA. She has owned the “World Champion AQHA Working Cow Horse” and has been in the top 10 NRHA in reining. She still rides any chance she can get. Gail is very proud of her career accomplishments, but even more proud of the children she has raised and with her grandchildren-Carson (Stanford University graduate, past Captain of the Equestrian Team and selected for a two year Fellowship at Yale University researching autism), Wilhem (Stanford University student and plays Club Water-polo), Jenna (Cal Poly graduate earning her Teaching Credentials), Anna (UC Davis student), Madison (eighth grade, an avid equestrian, basketball, volleyball, soccer, swimming), Kaylee (sixth grade-ballet, piano, karate) and Emma (preschool and still time to become an avid equestrian).